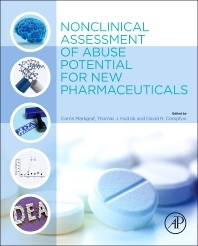 Nonclinical Assessment of Abuse Potential for New Pharmaceuticals offers a complete reference on the current international regulatory guidelines and details best practice methodology for the three standard animal models used to evaluate abuse potential: physical dependence, self-administration and drug discrimination. This book also includes chapters on alternative models and examples of when you should use these alternatives. Case histories are provided at the end of the book to show how the data generated from the animal models play a pivitol role in the submission package for a new drug. By incorporating all of this information into one book, Nonclinical Assessment of Abuse Potential for New Pharmaceuticals is your single resource for everything you need to know to understand and implement the assessment of abuse liability. Carrie is a native of Williamstown, MA. She received her BA from Middlebury College in Biology and Psychology, with an Honor’s Thesis investigating the role of the hippocampus in learned taste aversion. She received her MD, PhD from the University of Vermont, where her dissertation assessed the role of the central nucleus of the amygdala in cardiac arrhythmias. After graduation from UVM, she completed two post-doctoral fellowships at the University of Miami, FL: one in Psychology, where she also taught undergraduate classes in Introductory and advanced topics in psychology, and one in Neurology. It was during the post-doctoral fellowship in Neurology under Dr. Myron Ginsberg that she became involved in animal models of acute neurologic injury, creating some of the early behavioral outcome measures for assessing neurologic function in these models. Work in these models lead to a position at Marion Merrell Dow in Cincinnati OH, in the CNS Discovery group and after that to a position as Assistant Professor of Neurosurgery at the University of Texas-Houston Medical School. After nearly 10 years in the field of treatment of acute neurologic injury, Carrie started a new chapter of her career at Schering Plough as a Principal Scientist, then Senior Principal Scientist, setting up the company’s first CNS Safety Pharmacology lab, gaining skills in GLP regulations and serving in the roles of Study Director and Study Monitor for Safety Pharmacology and Toxicology studies. She also represented the department on Project Teams on various neuroscience programs. Now at Merck, as Senior Principal Scientist, Carrie is in Discovery Sciences Support and represents the department on Project Teams in varied therapeutic areas and serves on an internal group that assists programs with abuse liability issues. Carrie has been a member the Society for Neuroscience since 1983, and has been a full member of SOT (Society of Toxicology) since 2001. She has also been a member of the Safety Pharmacology Society (SPS) since 2001, where she has served on a number of Committees, including the Program Committee and holding the position of Chair of the Academic Outreach Committee. She is currently serving on the Board of Directors of SPS as Secretary. At the annual meetings of these societies, Carrie has presented scientific posters, given symposia presentations and organized and served as the chair of symposia on drug abuse/liability. In 2010 she was Merck’s. representative to a PhRMA group responsible for industry’s response to the draft FDA guidance on Assessment of Abuse Potential of Drugs. Carrie has been a member of the CCALC (Cross-Company Abuse Liability Consortium) since its inception in 2006 and has served as Co-Lead of the PAL (Preclinical Abuse Liability) sub-group of CCALC since that time. She was a member of the CCALC organizing committees for the 2008 and 2015 FDA-Industry Dialogue sessions on abuse potential issues, and is also on the By-Laws committee to establish CCALC as a scientific non-profit organization. Carrie was a founding member of the non-profit New Jersey Brain Bee Association (NJBBA), a group dedicated to neuroscience educational outreach to area schools. The NJBBA also hosted an annual local competition in neuroscience for high school students. She continues her interest in educational outreach by speaking annually with student groups interested in careers in the pharmaceutical industry at Rutgers University and at Weill Cornell Medical School. 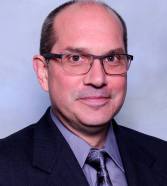 Dr. Hudzik received his BA in experimental psychology from Rutgers College, and his MS and PhD from the University of New Orleans in Biological Psychology and Pharmacology in 1990. His Master’s and Dissertation work focused upon how drug-drug interactions could elucidate mechanism of action of novel opioids. He had a highly productive fellowship at the University of Arkansas for Medical Sciences, where, under the guidance of Drs. McMillan and Wenger, he developed novel behavioral assays that addressed how drugs disrupt temporal perception, which was also useful in detecting antidepressant activity and neurotoxicity. Additionally, Dr Hudzik’s postdoctoral work also addressed how drugs of abuse could interfere with working memory across multiple species such as primate, pigeon, rat and mouse. After his fellowship, he began his 22-year career in the pharmaceutical industry at Fisons Pharmaceuticals in Rochester, NY, which was later acquired by Astra AB, Sweden, then ultimately became AstraZeneca. He has worked to model and to identify novel targets on such diverse disease areas as substance use disorder, appetite suppression, epilepsy, stroke, neuroprotection, Alzheimer’s, Parkinson’s, anxiety, depression, schizophrenia, and bipolar disorder. During this time, he led research teams which delivered four candidate drugs into clinical development. He accepted a position at Abbott Labs in 2010 (now AbbVie), to develop an abuse liability strategy for the company, and leads a cross-functional team that addresses CNS safety concerns within projects. Dr Hudzik has authored more than 60 original research papers, and edited and contributed to 2 books. He is a member of the College on Problems of Drug Dependence, the List Committee of the World Anti-Doping agency, the Society for Neuroscience, the Behavioral Pharmacology Society, a reviewer of manuscripts for numerous journals, and is a very active participant in inter-company consortia supporting prediction of risk associated with abuse liability of novel drugs or the potential for psychiatric complications such as suicidal behavior, as well as two directed at discovery of early biomarkers for neurotoxicity. He enjoys teaching, and has served as an instructor for undergraduates, medical and nursing students, as well as presents on neuroscience topics to grammar school children. When not writing for science, Dr. Hudzik also enjoys writing fiction and poetry, running marathons, and brewing beer - usually not at the same time. David was born and raised in Missouri where he received his BA degree in Chemistry from Washington University in St. Louis. Subsequently he received his PhD from the Department of Pharmacology and Toxicology at the University of Texas Medical Branch in Galveston. His dissertation research, funded in part by an Individual Predoctoral Grant from the Scottish Rite Schizophrenia Foundation, was on the dopaminergic and cholinergic neurotransmission effects of antipsychotic medications. At graduation David received both the Academic Excellence Award and the Jason E. Perlman Research Award. He conducted postdoctoral research on the neuropharmacology of drugs of abuse at the MCV (Medical College of Virginia) campus of VCU (Virginia Commonwealth University) in Richmond. During his 2 years on a NIDA Institutional Training Grant, David was awarded a Pharmaceutical Manufacturers Association (now PhRMA) Foundation Award funding postdoctoral research into “Receptor and Nonspecific Mechanisms of Cannabinoid-Induced Alterations of Neurotransmission.” Subsequently he received a NIDA Individual Postdoctoral Grant to conduct research on the structure-activity relationships of the neurochemical / neurobehavioral effects of cannabinoids). During his career as Assistant and Associate Professor at MCV-VCU in the Department of Pharmacology and Toxicology, David taught professional students (medical, pharmacy, etc), was the Advisor and/or Committee member of graduate (Masters and PhD) students, and continued research on drugs of abuse funded by NIDA grants (as Individual [Primary Investigator], as Co-Investigator, and as part of a multi-faculty Center Grant) on cannabinoids, stimulants, and anabolic steroids. David published extensively in peer reviewed journals, co-authored books on abuse liability, and co-authored chapters in medical pharmacology texts. One of his more prized accomplishments was the Students’ Choice Award for Faculty of the Year in 1994. Though still currently an Affiliate Associate Professor at VCU, after leaving academia, David gained valuable GLP (Good Laboratory Practices) experience in preclinical / nonclinical toxicology as a Study Director on FDA-mandated regulatory studies in general toxicology, reproductive toxicology, and safety pharmacology while working for Huntingdon Life Sciences, a CRO (Contract Research Organization) at the Princeton Research Center in New Jersey. Subsequently, he was an Associate and then Principal Scientist at the Schering-Plough Research Institute focussing on drug development as the Drug Safety Evaluation representative to Project Teams, prior to his positions as Principal Scientist and currently Lead - Toxicologist and Project Team Expert within Preclinical Safety at Sanofi U.S. in New Jersey, where he has served since 2007 as a Subject Matter Expert with the DALA (Drug Abuse Liability Assessment) group advising Project Teams on development issues related to abuse potential of NMEs [New Molecular Entity(ies)]. David has 30 years of combined academic, contract laboratory, and pharmaceutical experience in the fields of neuroscience/neuropharmacology, abuse liability/assessment, education, study directing, toxicology, and preclinical drug development. In 1999 he was certified as a Diplomate of the American Board of Toxicology (DABT). He has been a full member of ACT (American College of Toxicology) since 1997 and has served on numerous elected positions. As of 2013, he is serving his second 3-year elected term on the Council (board) of ACT, and concluded as of 2015 his second year as Chair of the ACT Website Committee. Since 2012 he has also served on the Editorial Board of the International Journal of Toxicology. He has been a full member of SOT (Society of Toxicology) since 2011, and is currently a full member of both CPDD (College on Problems of Drug Dependence) and the Society for Neuroscience, having first joined each as an associate/student member in the 1980’s. David has presented numerous scientific posters, given multiple symposia presentations, as well as organized and served as the chair of symposia on drug abuse/liability. In 2010 he was the Sanofi U.S. representative to PhRMA responsible for generating the industry response to the FDA draft guidance on Assessment of Abuse Potential of Drugs. David has been a member of the CCALC (Cross-Company Abuse Liability Consortium) since 2007, has been a Co-Lead of the PAL (Preclinical Abuse Liability) sub-group of CCALC since election in 2013, and has been part of the CCALC organizing committees for the 2008 and 2015 FDA-Industry Dialogue sessions on abuse potential issues, as well as the By-Laws committee of 2014-2015 to establish CCALC as a legal, scientific, non-profit organization. In 2002 David was a founding member of the now defunct, non-profit New Jersey Brain Bee Association, which sponsored an annual competition (until 2011) for high school students (qualifying the winner to compete in the International Brain Bee competition co-sponsored by the Society for Neuroscience).